Jesus encounters all kinds of people on his journeys. Those who are outsiders, outcasts, and at the lowest end of the social structure receive special attention from him. Today’s healing of individuals with leprosy highlights the kind of relationship that God, through his Son, establishes in our lives. 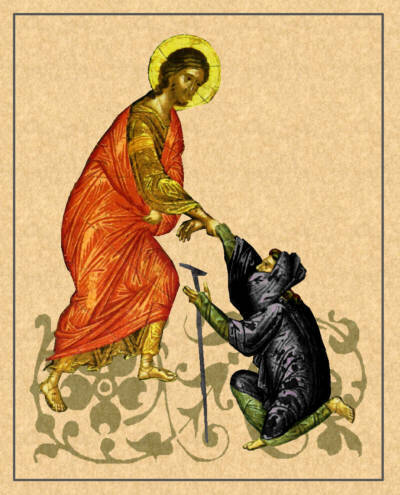 When one returns to offer his thanks, Jesus tells him his faith has made him well. This particular Samaritan is an example of one who did the extraordinary – he took the time to turn back, to complete his own healing process with evidence of true salvation. We become increasingly aware of God’s power as we express thanks for what is happening in our lives and in the world. The Book of Common Prayer offers a variety of prayers and litanies for giving thanks (BCP 836-841). Today’s psalm is one of thanksgiving. Thanksgiving psalms speak of the personal experience of a new order – surprises and newness overcome the old way of looking at the world. Thanksgivings tell the story of the past distress and of God’s saving reversal of the situation. They give testimony for conversion. In telling our story of wonder and awe, we are evangelists, calling people to a life of faith in this God who has saved us.” Denise Dombkowski Hopkins, Imaging the Word, Volume 2 (United Church Press, 1995). Healing of body and soul is a gift that comes from God. Giving thanks is something that comes from our hearts. Just as the one leper brought both of these together, we too can know the blessing of wholeness. What do you think life might have been like for a leper in first-century Palestine? How do you think these lepers might have felt when they realized that they were no longer infected with leprosy? Why do you think the nine lepers continued on their way without coming back to Jesus? How would you describe Jesus’ attitude toward the nine? From today’s Gospel, what do we learn about a grateful response to God? Within the context of this story, how would you define faith? This entry was posted in Ordinary Time and tagged Book of Common Prayer, Faith, healing, Jesus, Lectionary, Leprosy, Marcus Borg, Prayer, Thanksgiving. Bookmark the permalink.